← Why is Environmental Education Necessary? The Dr. Richard W. Becker Award honors outstanding educators in New Mexico who are influencing students through environmental education and service learning. Our 2016 honorees are Steve Glass, CNM biology instructor and retired public works program manager, and Siobhan Niklasson, Education Programs Director at Pajarito Environmental Education Center (PEEC). Zoe knows Steve from their work together on the Ciudad Soil and Water Conservation District. She was one of many who supported his nomination by Jennifer Moss, Ciudad’s District Coordinator. Steve joined the Ciudad SWCD Board of Supervisors in January 2003. He holds an MS in Environmental Science from NMSU, and has worked with the District in the past on projects like backyard composting workshops and revegetation of a State Highway Department off-ramp at Juan Tabo and I-40. As a retired municipal wastewater biosolids composting and stormwater management programs manager and the former local government representative on the NM Water Quality Control Commission (2003-2013), he is familiar with a wide range of natural resource and conservation issues. He is currently directly involved in the development and implementation of the Rio Grande-Albuquerque Watershed Restoration Action Strategy (WRAS) and represents Bernalillo County on the Water Protection Advisory Board. Steve also represents Ciudad SWCD on the Mid Region Council of Governments Water Resources Board, as well as serving as District 1 Commissioner for the SWCC. Steve also teaches at Central New Mexico Community College in the areas of Microbiology and Environmental Sciences. Even with all of those commitments, Steve finds the time to work with Talking Talons Youth Conservation Crews, Rocky Mountain Youth Crews, and to act as the Ciudad SWCD District Board liaison for the RiverXchange and Arroyo Classroom projects. 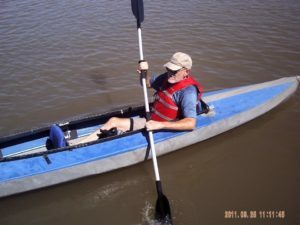 Steve also takes our Rolling River, “Watershed on Wheels” educational model, out annually to the Rio Rancho Children’s Water Festival, Freedom Fourth, Valle de Oro celebrations and local environmental fairs to reach children and adults alike. Steve is currently spearheading collaboration between the RiverXchange programs and BEMP to expand our educational impact from third grade all the way to high school and college. 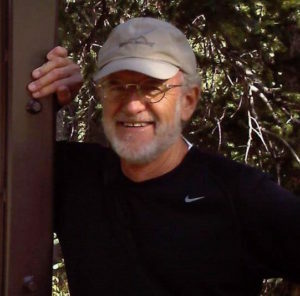 Steve has also been instrumental in utilizing Master Naturalist volunteers to create a watershed education curriculum surrounding the Tijeras Creek Remediation Project with the goal of creating an outdoor classroom environment with activities and lesson plans geared towards fifth grade classes. Steve is always the first to step up for any type of outreach or educational event or activity. His drive to get others involved and spread the word about watershed health and protection is inspiring. In every local environmental board, assembly or group, Steve Glass is known not only by name but by his reputation. He is a true advocate for environmental education. 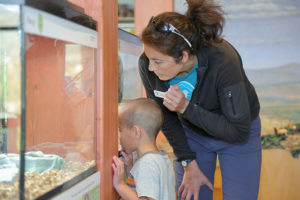 Katherine Watson, Executive Director of the Pajarito Environmental Education Center, included feedback from many teachers and students in her nomination of Siobhan. 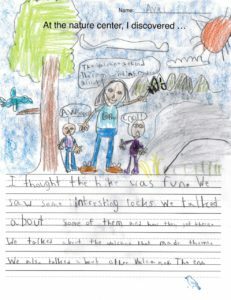 This is what teachers say about Siobhan Niklasson’s lessons for school kids—they love her ability to engage them in imaginative thinking about serious environmental issues. The students of Northern New Mexico are lucky to have Siobhan sharing her passion for the natural world. 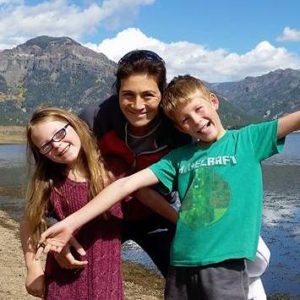 She advances environmental literacy, excites her students about stewardship and protection of nature, and collaborates with other organizations in our area to bring environmental education to as many people as possible. Siobhan advances environmental literacy by developing and teaching classes for children from toddlers to high schoolers. Her topics range from migratory birds and insects, to rocks and stars, as well as water and energy conservation. Her lessons are hands-on and engaging, involving students in the practice of science in the field. Her youngest students collect and categorize critters in schoolyard pitfall traps, determining which are insects and which are not. Her AP Environmental Science students assess the water quality in the Valles Caldera by finding and identifying macro invertebrates and comparing the variety and number with those of a healthy waterway. This program is fantastic in adding to our use of data collection, graphing, and connections to real life science. The material, the presenter, and the results are above and beyond expectations! The kids were very enthusiastic and excited. By end of the lesson they were using the vocabulary needed to discuss not an insect vs. insects. I was impressed that they knew the difference between types of birds and could describe the different feathers. Siobhan’s work cultivating stewardship is also exemplary. She has mentored environmental clubs at the elementary, middle, and high-school level, engaging students with age-appropriate stewardship knowledge. She is the lead educator for the Los Alamos Department of Public Utilities energy and water conservation outreach. Siobhan has worked hard to make these conservation lessons inspiring instead of alarming, helping students to know that their actions really can make a difference. Furthermore, she knows the importance of repeated experiences to connect students with nature. I heard conversations among the kids about things necessary to keep heat in the solar house, drawing on experiences with solar car kits in the past and using what they already know. Kids were talking about solar storage necessary for real solar cars. In addition, we all know that children need to love nature to grow into adults who want to protect it. In every field trip held at the nature center, Siobhan builds in time for unstructured nature play in our fort building/nature play area. Teachers and students often tell us that this is a highlight of the visit, with adults commenting on the teamwork, leadership, and cooperation they see their students display in the nature play area—while students just rave about how much fun it is to play with sticks! Finally, Siobhan has created and strengthened numerous environmental education partnerships in Northern New Mexico. She partners with Bradbury Science Museum, Los Alamos History Museum, New Mexico Wildlife Center, Los Alamos Family YMCA, Valles Caldera National Preserve and Bandelier National Monument, as well as with Fenton Lake State Park and the Los Alamos Public Schools. Her partnership with Bandelier is especially strong, with the Park Flight program as a focal point. Through this program students get to meet and work with ornithologists doing banding and data collection on migratory birds in the field. They get to hold and release wild birds—a high point of many students’ entire elementary school career. Siobhan has recently expanded this partnership, taking students on all-day field science trips to Bandelier. Siobhan’s lessons have extensive reach in our community: she served 6,021 students in the 2015-16 school year and 81 out of 92 elementary classrooms. Lessons like Siobhan’s will stay with her students into adulthood; her passion will become their passion for saving the environment.